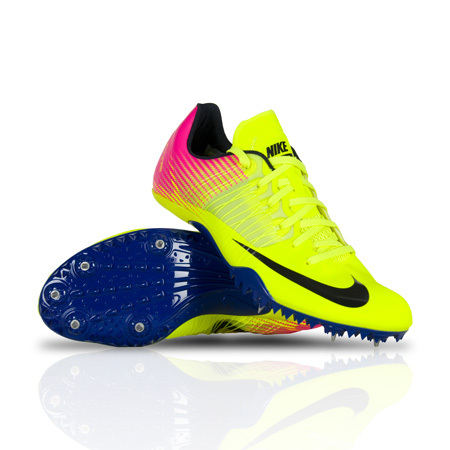 Designed for the sprinting events, Unisex Nike Zoom Celar 5 OC Track Spike (Men's Sizing) features an ultra-thin TPU structure, supportive Flywire technology and lightweight spike plate so you can fly past the competition. Lightweight mesh tongue helps keep you cool. Mesh tongue for ventilation and comfort. Heel lobes for a snug, comfortable fit around the ankle. Thin, compression-molded contoured Phylon midsole for lightweight cushioning and impact protection. Aggressive secondary elements for extra grip and traction.